Thrift stores make one feel like walking through a museum of various fashion cultures layed throughout the racks. Shelves on the sides host diverse items from a century old shoes and hats. Thrift stores are fascinating places. Digging through the color-coded oldies makes one feel like diving into an inclusive ocean of various fashion cultures. Old shelves representing decades of style; racks on the sides housing items from fascinating glassware, to musical instruments; prove the beautiful spirit of variety in thrift shops. Over time, due to the rapid evolvement of humans, especially in the field of technology around 19th century, people started spending less time doing handy-work and weren’t spending as much time home. The increasing level of urbanization and industrialization played a huge factor in changing the game of restating. Rather, there was a huge demand toward popular brands and well-known retail stores, which lowered the value of reusing clothes in the eyes of society. The attached stigma to secondhand items, specifically from a stranger, placed people in inaccurate and needless social classes. People who bought, for lack of a better term, “leftovers,” were considered poor, and dirty. Today, more and more people lean toward thrift shops not only because of their affordable prices, but also because of newly-defining fashion statements and ethical reasons. Fortunately, besides the interesting nature of it, thrifting comes in a happy bonus package with benefits to many. 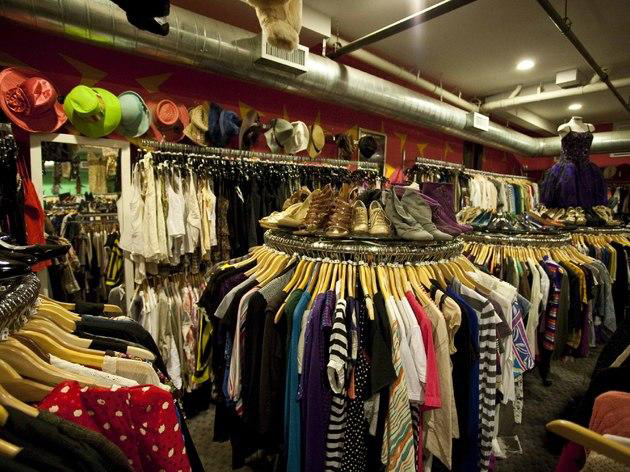 Thrift shops are way more budget-friendly compared to the prices in retail stores. Most of the clothes are already cherry-picked and cleaned before taking place on hangers. Therefore, reducing the amount of money spent to be just as stylish helps save money; as well as allowing to apply the differences to other expenses. In addition, thrift stores make it easier to know where your money goes to. Let alone the majority of thrift stores directly supporting charity, they also save the buyer from supporting the cruel industry of clothing lines and help improve the fair-trade system, which humans don’t work under extreme conditions for very little or non-worthy payment. Aside from being a hub to find the best mom jeans, thrift stores help the environment a handful as well. Re-wearing clothes reduces waste and pollution, which are a few of the leading causes of environmental destruction. Every purchase off a thrift store means one less new one produced because no matter the material, the production of clothing is costly to the environment due to factories and such. A thrifted item is also less likely to end up in a landfill, which not only puts a smile on mother nature, but also means the clothes are better quality. It takes a long while for a thrifted item to become so bad that it can’t be worn anymore, which is another pro added to the list. Fashion-wise, thrifting adds uniqueness to one. Instead of wearing what’s trendy and popular like everybody else, the creativity thrift stores allow gives character to the person wearing it. Having a variety of different styles from different time periods to pick from, thrifting helps a person define themselves by granting the ability to express many thoughts and emotions in the most visible way possible. GoodWill, Stuff, Plato’s Closet and Main Street Exchange have open doors for everyone to explore the wild fun of thrifting. ← Previous Story What is the No. 1 issue for you in the upcoming elections?